204 in stock Need More ? An Observer and Spectator Book of the YearShortlisted for the Historical Writing Association Gold Crown AwardMeet Yuri Zipit. A boy who's had a bang on the head in a collision with a Moscow milk truck. He has a kind face, makes friends easily, and likes to help. People want to tell him their secrets. Including the Great Leader himself, who takes a shine to Yuri when he employs him for his natural talents. In his new job, Yuri will witness it all - betrayals, body doubles, buffoonery. Who knew that a man could be in five places at once? That someone could break your nose as a sign of friendship? That people could be disinvented . 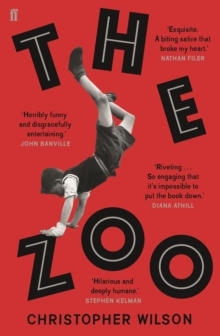 . .?The Zoo is a brilliantly cutting satire told through the voice of one incredible boy.